How far can Purito go? EVARO, Spain (VN) — Another stage win on Thursday and another time bonus mean that Joaquim Rodríguez (Katusha) will enjoy yet another day in the red race leader’s jersey at the Vuelta a España. The pint-sized Rodríguez has so far proven a canny rival and the question midway through the Vuelta is how long “Purito” can hang on. Or, perhaps more importantly, can he dare to dream to win the race? Rodríguez continues to downplay his GC chances, at least publicly, with the likes of Alberto Contador (Saxo Bank-Tinkoff Bank) and Chris Froome (Sky) breathing down his neck. But just how strong is Contador? So far, the 2008 Vuelta champ seems to be missing his typical surge and has yet to win a stage in this tour. Many expect him to make a big move this weekend in Asturias, but Rodríguez is making things complicated. In Wednesday’s time trial, Contador just missed taking the red jersey by one second, but it was Rodríguez that had the ride of the day when Froome was the one that needed to blow the doors off his rivals. 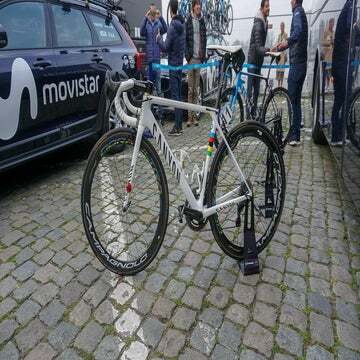 So far, Contador seems to have been attacking Froome, not Rodríguez or fourth-overall Alejandro Valverde (Movistar), but that could change as Froome fades and Rodríguez continues to prove a stubborn rival. The short, steep finales featured so far in five uphill finishes in the first half of the Vuelta were tailormade for Rodríguez’s punchy, aggressive style. And he’s made the most of them, winning two stages and picking up 48 seconds of time bonuses along the way. On Thursday, Rodríguez dropped Contador with 200 meters to go to win by eight seconds, take the first-place time bonus and widen his grip on the leader’s jersey over Contador to 13 seconds. 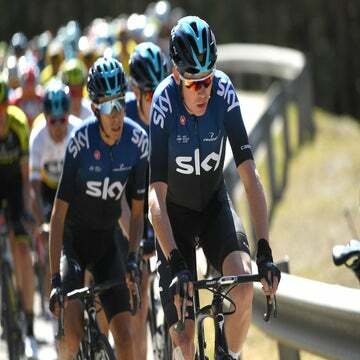 Froome once again was on his back foot, struggling to maintain the blearing pace, crossing the line 23 seconds adrift in fifth and missing out on the third-place bonus, earned by Valverde at 13 seconds back. Most are expecting Contador to drop the hammer in a string of three climbing stages looming this weekend in Asturias, but Rodríguez has so far proven a worthy foe. With Froome and Valverde each further back, Katusha can now ride somewhat defensively and have Rodríguez try to mark Contador’s wheel. Katusha sport director Valerio Piva knows that’s easier said than done. Rodríguez has never won a grand tour, but after finishing second in the Giro d’Italia to Ryder Hesjedal in May, he is more motivated and confident than ever. Carrying the jersey into the trio of climbing stages in Asturias is a bonus. How much that confidence pays off remains to be seen. For now, Rodríguez can soak in the glory of the red leader’s jersey.